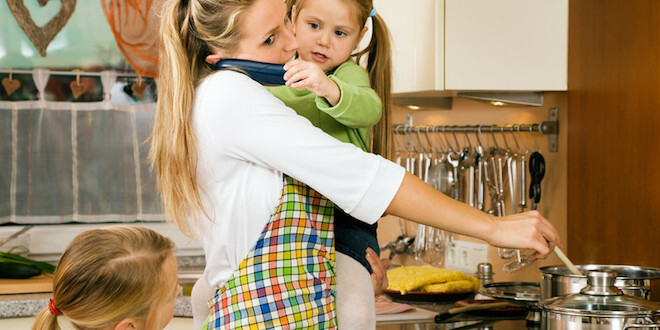 Did you know that 1 in 4 kids are raised in a single parent home? Many single parents struggle with loss, abandonment, budget shortfalls and work/life balance issues. Even though the road of single parenthood is often paved with challenges, there are plenty of ways to find support and encouragement along the way. Below are some practical ways that single parents can offer help and support to each other. Build Community – Get involved in a support group or community of like-minded people. Having the support of other single parents can help in many ways. Just having someone who knows what you’re going through can make you feel less alone. When feeling overwhelmed by life’s responsibilities, having another perspective can help you regain a positive attitude. Feedback – Single parents can help bounce ideas off of each other and offer positive feedback. Single parents often have unique issues they are working through – like managing rules between homes or visitation schedules – that married couples may not understand. Babysitting Co-op– It can be tough for single parents to get out and socialize due to the cost of baby sitters. Trade off babysitting with other single parents in your group. Clothing Swap – Kids grow so fast and they don’t stay in the same clothing for very long. Host a clothing swap among single parents in your group to pass down gently worn items. Carpool – If you know other single parents from your neighborhood, set up a car pooling arrangement so one parent drops off in the morning and one parent picks up after school or sports. Sharing transportation needs can reduce stress with your daily commute. Social Media – Time can be an issue for single parents, so make use of support groups on Facebook, Meet Up Groups or Kinsights to make connections. Connecting with a group of parents that are coping with similar issues on a regular basis – online or in person – can be extremely helpful. Potluck – Finding time to socialize can be tough, but everyone has to eat. Invite a single parent and kids over for dinner and conversation. Have a potluck to reduce the cost of the meal and let the kids play while you enjoy some adult time. Taking time to nurture yourself and build community can help make the transition much easier for you and your family. Even though you may feel like the Lone Ranger, connecting with other parents like you can be easier than you think. Reach out and take advantage of the wisdom and compassion of other single parents online and in your community – you’ll be surprised how quickly your network will grow.